This is one building I’ve wanted to get to the bottom of for quite some time now. You could say I’ve made it my number one priority. Okay, okay, no more bathroom puns, at least not from me. I can make no guarantees that the Muppets might not plumb up one or two good ones as we take a closer look at the restrooms across the courtyard from Muppet Vision 3D. You can still see the remnants of the old Broadway Plumbing paint on the side of the warehouse, but in recent times these facilities have been taken over by Gonzo for his business, Gonzo’s Royal Flush. We are first introduced to Gonzo’s Royal Flush in 2011’s The Muppets. This is where Kermit, Walter, and the gang find Gonzo. He has become quite well off and found success being a purveyor of porcelain and has no desire to rejoin the Muppets as they attempt to save their studio. He touts his business ties to Beijing and even has a burgeoning, if messy, waterless toilet department. In the end, however, it is made clear to Gonzo by Camilla the chicken that he does truly miss his friends and his former daredevil ways. He calls to everyone from the roof, armed with his trusty Automatic Destroy Plumbing Business button, and, through some typical Gonzo acrobatics, returns to his friends. The moral of this story is, if you’ve got to go, beware of anything explosive. 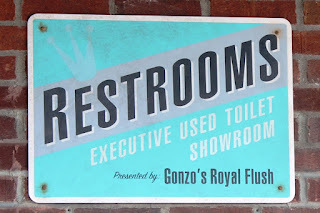 One of the signature lines of Gonzo’s Royal Flush even makes it into the Disney’s Hollywood Studios restrooms. 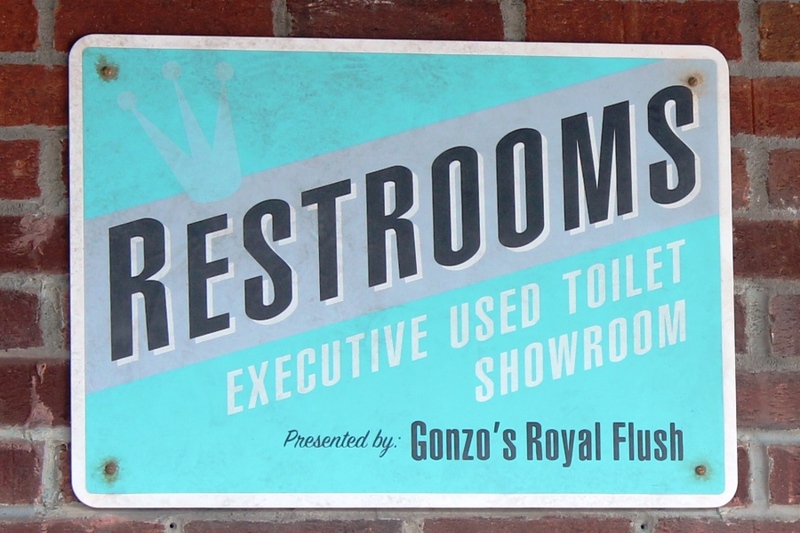 The whole warehouse is billed as the company’s Executive Used Toilet Showroom. In the film these are shown to be some of the comfiest commodes in the business, but I’m not sure this line of lavatory equipment is right for me, no matter what executive washroom it has been in. Restrooms are a necessity when in any theme park, or anywhere else for that matter, but that doesn’t mean they have to be boring. 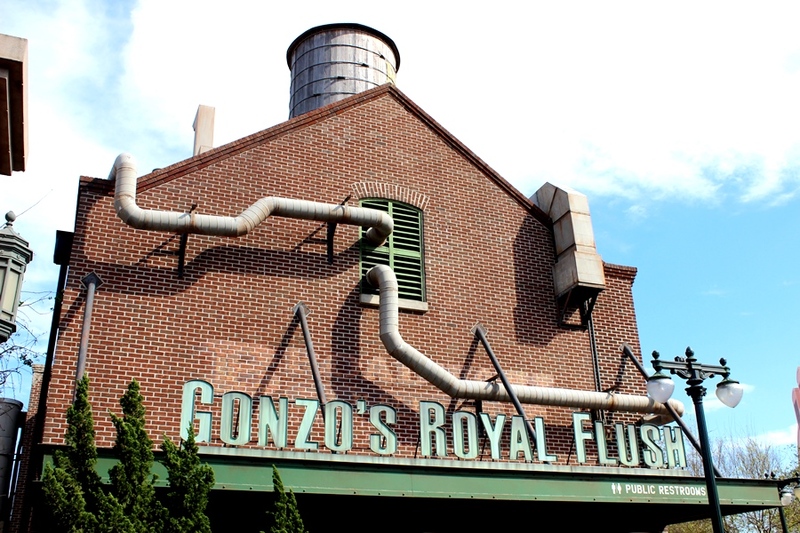 Disney’s Hollywood Studios knows there is gold in bathroom humor, as do the Muppets, and given the spot Gonzo’s Royal Flush has in their film canon, it’s a wonder it took them this long to install this theme for the courtyards facilities. Either way, it’s good to see more Muppet buffoonery spreading its way out from within the confines of the Muppet Vision 3D theater and shop.